"Feathered bonnet" redirects here. 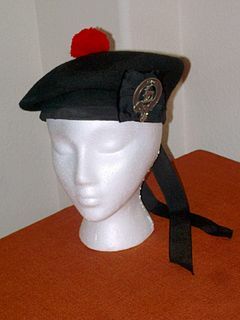 For the Scottish military headdress, see Feather bonnet. "Warbonnet" redirects here. For the locomotive livery, see Warbonnet (paint scheme). Eagle feather war bonnet, Cheyenne, 19th century, trade beads, eagle feathers, red stroud cloth. Many Native American tribes consider the presentation of an eagle feather to be one of the highest marks of respect. An honored person must have earned their feather through selfless acts of courage and honour, or been gifted them in gratitude for their work or service to their community or Nation. Traditional deeds that bring honour can include acts of valor in battle (including contemporary military service), but also political and diplomatic gains, or acts that helped their community survive and prosper. The esteem attached to eagle feathers is traditionally so high that in many cases, such as a warrior (e.g. Dog Soldiers of the Cheyenne), only two or three honour feathers might be awarded in a person's whole lifetime. Historically, the warrior who was the first to touch an enemy in battle and escape unscathed received an eagle feather. When enough feathers were collected, they might be incorporated into a headdress or some other form of worn regalia. Historically, headdresses were usually reserved exclusively for the tribe's chosen political and spiritual leaders. Roman Nose, who was one of the most influential Cheyenne warriors of the Plain Indian Wars of the 1860s, was known for his illustrious warbonnet that was said to protect him during battle. Several instances record how while wearing his war bonnet, he rode back and forth before soldiers of the United States Army and, despite being fired upon, was left unscathed. While women have traditional regalia that can include other types of headdresses, historically women did not wear the most common style of Plains warbonnet. However, in recent years a few First Nations women who have attained a very high level of respect in their communities have been ceremonially gifted with headdresses of the type that were formerly only worn by men. Due to their historical importance and status, traditional Native Americans now consider the wearing of headdresses without the express permission of tribal leaders to be an affront to their culture and traditions. Consequently, in cases where non-Native political leaders have been symbolically allowed to wear the headdress, this has caused controversy. Plains-style war bonnets are made out of eagle feathers because the eagle is considered by most tribes of the Interior Plains to be the greatest and most powerful of all birds. Under current federal legislation, the Eagle feather law enables Native Americans to continue using eagle feathers in their traditional spiritual and cultural practices. The exemption is contained within the Migratory Bird Treaty Act of 1918. In the United States, only enrolled members of a federally recognized Native American tribe may legally collect or possess eagle feathers. One traditional method of acquiring feathers for war bonnets is for young eagles to have their maturest tail feathers plucked while still in the nest. This can be done three times before the feathers do not grow back. As many as thirty six feathers can be collected in this manner. If care is taken in not disturbing the nest, this method can be repeated yearly. Plains Indians use eagle feathers as the most significant part of the headdress to represent honor and respect. Some Plains-style bonnet forms are the "horned" bonnet, "flaring" eagle feather bonnet, and the "fluttering feather" bonnet. The "horned" bonnet can consist of a buckskin skull cap, shaved bison or cow horns, and dyed horsehair with bunches of owl feathers beneath the skull cap. The "flaring" eagle feather bonnet is often made of golden eagle tail feathers connected to a buckskin or felt crown. There are slits at the base of the crown that allow the bonnet to have a "flaring" look. An unusual form of bonnet is the "fluttering feather" bonnet, with the feathers loosely attached to a felt or buckskin cap, hanging at the sides. Native American cultural representatives and activists have expressed offense at what they deem the cultural appropriation of wearing and displaying of such headdresses, and other "indigenous traditional arts and sacred objects" by those who have not earned them, especially by non-Natives as fashion or costume. The controversy is part of a wider effort by Native American activists to highlight what they view as the ongoing cultural genocide against indigenous peoples in the United States and Canada. 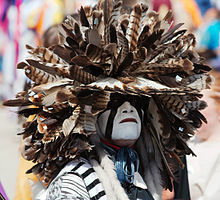 The trend of musicians and festival-goers wearing warbonnets, in particular, has led to criticism by Native Americans, apologies by non-Natives, and the banning of the sale or wearing of them as costumes by several music festivals. To explain Native peoples’ discomfort with non-Indians wearing headdresses, for example, it is necessary to go back to the indigenous perspective and evaluate what the headdress means specifically to the various tribes, Crow and Lakota to name two, that make and use them. Without such context, it’s impossible for non-Indians in contemporary settings to grasp the offense and harm that indigenous people feel when sacred objects and imagery are co-opted, commercialized, and commodified for non-Indians’ benefit. Wikimedia Commons has media related to War bonnets. ^ Life of George Bent: Written From His Letters, by George E. Hyde, edited by Savoie Lottinville, University of Oklahoma Press (1968), hardcover, 390 pages; trade paperback, 280 pages (March 1983), pp 214, 216, 239, 307. ISBN 0-8061-1577-7, ISBN 978-0-8061-1577-1. ^ a b The Battle of Beecher Island and the Indian War of 1867–1869, by John H. Monnett, University Press of Colorado (1992), pages 46 to 48. ISBN 0-87081-347-1. ^ a b c Keene, Adrienne (April 27, 2010) "But Why Can’t I Wear a Hipster Headdress? Archived May 13, 2016, at the Wayback Machine" at Native Appropriations – Examining Representations of Indigenous Peoples. ^ Grinnell, George Bird (2008). The Cheyenne Indians: Their History and Lifeways. World Wisdom, Inc. p. 209. ^ Howard, James H. (1954). "Plains Indian Feathered Bonnets". Plains Anthropologist. Maney Publishing. 1: 23–26. ISSN 0032-0447. JSTOR 25666195. ^ "This means war: why the fashion headdress must be stopped". The Guardian. July 30, 2014. ^ "Ricky Martin Accused of Cultural AppropriationAfter Posting Headdress Photo". USA Today. Nov 29, 2018. ^ "Coachella Attendee Apologizes for Culturally Appropriating a Native American Headdress". Teen Vogue. April 27, 2017. ^ "HERE'S WHY YOU SHOULDN'T WEAR A NATIVE AMERICAN HEADDRESS". MTV. June 4, 2014. ^ a b "ReMatriate was started earlier this year by women from the Yukon and northern B.C. in response to offensive runway fashion shows and “festival wear” appropriated from indigenous traditional arts and sacred objects and sold as commodities without permission." See "Northern-sparked 'ReMatriate' campaign takes on cultural appropriation". Northern Journal. May 4, 2015. Retrieved 2016-10-08. ^ "'Still experiencing a cultural genocide'". BBC NEWS. May 13, 2016. ^ "Pharrell Apologizes for Wearing Headdress on Magazine Cover". Rolling Stone. June 5, 2014. Retrieved 2015-11-09. ^ "No More War Bonnets at Glastonbury Music Festival". Lakota Law Project. October 17, 2014. Retrieved 2016-10-08. ^ Riley, Angela R.; Carpenter, Kristen A. (1 April 2016). "Owning Red: A Theory of Indian (Cultural) Appropriation". Texas Law Review. 94 (5): 915. Hardin, Barry E. (2013). The Plains Warbonnet: Its Story and Construction. Book Publishing Company. ISBN 9781929572236. Hirschfelder, Arlene; Molin, Paulette F.; Wakim, Yvonne; Dorris, Michael A. (1999). American Indian Stereotypes in the World of Children: A Reader and Bibliography. Scarecrow Press. ISBN 9781461656302. Waldman, Carl (2014). Encyclopedia of Native American Tribes. Infobase Publishing. ISBN 9781438110103. The Order of the Arrow (OA) is the National Honor Society of the Boy Scouts of America (BSA) comprised of Scouts and Scouters who best exemplify the Scout Oath and Law in their daily lives as elected by their peers. The society was created by E. Urner Goodman, with the assistance of Carroll A. Edson, in 1915 as a means of reinforcing the Scout Oath and the Scout Law. It uses imagery commonly associated with American Indian cultures for its self-invented ceremonies. These ceremonies are usually for recognition of leadership qualities, camping skills, and other scouting ideals as exemplified by their elected peers. A powwow is a social gathering held by many different Native American communities. A modern pow wow is a specific type of event for Native American people to meet and dance, sing, socialize, and honor their cultures. Pow wows may be private or public. There is generally a dancing competition, with many different types of traditional dances, music and regalia, often with significant prize money awarded. Pow wows vary in length from a one-day event, to major pow wows called for a special occasion which can be up to one week long. Bonnet has been used as the name for a wide variety of headgear for both sexes—more often female—from the Middle Ages to the present. As with "hat" and "cap", it is impossible to generalize as to the styles for which the word has been used, but there is for both sexes a tendency to use the word for styles in soft material and lacking a brim, or at least one all the way round, rather than just at the front. Yet the term has also been used, for example, for steel helmets. This was from Scotland, where the term has long been especially popular. Fancy dance, Pan-Indian dancing, Fancy Feather or Fancy War Dance is a style of dance some believe was originally created by members of the Ponca tribe in the 1920s and 1930s, in an attempt to preserve their culture and religion. It is loosely based on the War dance. Fancy dance was considered appropriate to be performed for visitors to reservations and at "Wild West" shows. But today, fancy dancers can be seen at many powwows across the nation and even the world. Cultural appropriation, at times also phrased cultural misappropriation, is the adoption of elements of one culture by members of another culture. This can be controversial when members of a dominant culture appropriate from disadvantaged minority cultures. A moccasin is a shoe, made of deerskin or other soft leather, consisting of a sole and sides made of one piece of leather, stitched together at the top, and sometimes with a vamp. The sole is soft and flexible and the upper part often is adorned with embroidery or beading. Though sometimes worn inside, it is chiefly intended for outdoor use. Historically, it is the footwear of many indigenous people of North America; moreover, hunters, traders, and European settlers wore them. Etymologically, the moccasin derives from the Algonquian language Powhatan word makasin, and from the Proto-Algonquian word *maxkeseni (shoe). A hair drop is an ornament worn by men from Great Lakes and Plains tribes. It would be tied to the man's hair. The typical example consists of a quilled or beaded section on a strip of leather, which was later attached to an American buffalo tail. They could be over two feet long. The Native American bustle is a traditional part of a man's regalia worn during a dance exhibition or wachipi and originates from the Plains region of the United States. In its modern form, the men's bustle is typically made of a string of eagle or hawk feathers attached to a backboard. Eagle and hawk feathers are sacred religious objects to Native American people and the possession of eagle and hawk feathers are protected by the eagle feather law. Headgear, headwear or headdress is the name given to any element of clothing which is worn on one's head. Porcupine hair roaches are a traditional male headdress of a number of Native American tribes in what is now New England, the Great Lakes and Missouri River regions, including the Potawatomi who lived where Chicago now stands. 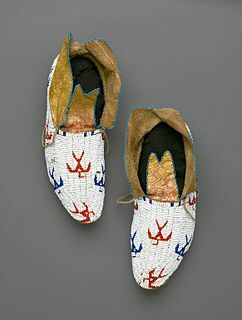 They were and still are most often worn by dancers at pow wows as regalia. Christian Jorgensen "Chris" Brown was a Native American dancer and costume maker who performed under the name Chief Lemee. Brown was active in Yosemite Valley from the 1920s to the 1950s. Textile arts of indigenous peoples of the Americas are decorative, utilitarian, ceremonial, or conceptual artworks made from plant, animal, or synthetic fibers by native peoples of both North and South America. Native American fashion encompasses the design and creation of high-fashion clothing and fashion accessories by the Native peoples of the Americas. Indigenous designers frequently incorporate motifs and customary materials into their wearable artworks, providing a basis for creating items for the haute couture and international fashion markets. Their designs may result from techniques such as beadwork, quillwork, leather, and textile arts, such as weaving, twining, and tufting. In some cases, however, they choose not to include any materials associated with indigenous cultures.